It’s not just about living forever, Jackie. It’s about living with yourself forever. Examinations are starting on Wednesday 23rd, and will end on May 26th around 6:30pm. 115 hours (114 and a half, to be accurate) of exams See you next month, world! For a project of mine (involving LEJOS-OSEK, mostly), I’m forced (well, almost) to use Windows, which my dear VirtualBox virtualizes fairly well on my clean Linux host. I obviously setup vim for my coding needs, but its default behavior isn’t quite what we are used to on other platforms. For instance visual mode selection with arrows requires you to hold Shift, while it doesn’t elsewhere and backup files are created upon write. So, let’s edit the .vimrc file, which actually is at VIM_INSTALL_PATH\_vimrc (for instance C:\Program Files\vim\_vimrc with the default install options). line from the default vimrc. See also this pretty Tango color scheme for vim. I love them all. This movie is really great. We mortals are but shadows and dust. There was a dream that was Rome. It shall be realized. Is Rome worth one good man’s life? We believed it once. Make us believe it again. He was a soldier of Rome. Honor him. And now we are Free. I will see you again… but not yet… Not yet! Ce que l’on fait dans sa vie résonne dans l’éternité. La Mort nous sourit à tous, nous tout ce qu’on peut faire c’est sourire à la Mort. Nous mortels ne sommes qu’ombre et poussière. Il y avait un rêve qui s’appelait Rome. Il doit être réalisé. Est-ce que Rome vaut la vie d’un homme de bien ? Nous l’avons cru autrefois. Il faut le croire à nouveau. Il était un soldat de Rome. Honorez-le. Maintenant nous sommes libres. Nous nous reverrons… Mais pas encore… Pas encore! Have you ever mistakenly shut down or rebooted your operation-critical server while you were willing to halt your desktop computer through ssh before going to bed, or anything like this? If so, and if you are on Debian/Ubuntu, molly-guard is designed for you: this nifty bash script gets between you and the shutdown/reboot/halt tools, checking if you are connecting through ssh and if so asking for the hostname of the machine before proceeding. W: molly-guard: SSH session detected! Since it doesn’t correctly handle sudo yet (actually sudo is at fault here, since it drops SSH_CONNECTION environment variable when doing its stuff), you might want to add PRETEND_SSH around the beginning of /usr/sbin/shutdown as specified on Nico “nion” Golde’s blog. You might also want to grab the molly-guard 0.3.2 etch package I backported from sid (all I changed is downgrade debhelper build-dep version and debhelper compatibility level in debian/compat since etch only has debhelper 5 and the sid package required debhelper 6 ; this shouldn’t break anything since the newer debhelper just seems to be needed to recognize a few fields in debian/control about where the package is maintained). Sources are also available, anyway. See also Did you know 2.0, an updated (with facts which were up to date in June 2007) and redesigned version of this video. I acknowledge these videos are quite old and famous, but I couldn’t help posting them here, sorry. Building dynamic forms with Django newforms module is quite undocumented, though it’s quite easy to do. All you need to do is to hook up the __init__ function of the form, raise the __init__ to the parent forms.Form class and then add your dynamically generated fields to self.fields dict. Here is a quick snippet demonstrating it, which will create a form with n integer fields named from 0 to (n – 1), but you will easily be able to heavily extend it. 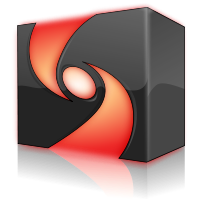 We have just released Compiz Fusion 0.7.4, based on Compiz 0.7.4. This is a new development release, featuring a good bunch of bugfixes and a new plugin providing bicubic filtering through shaders. The official announcement is available in Compiz Fusion Community list archives. Compiz Fusion websites themes: they are here, at least! Entries (RSS) and Comments (RSS). 16 queries. 0.128 seconds.